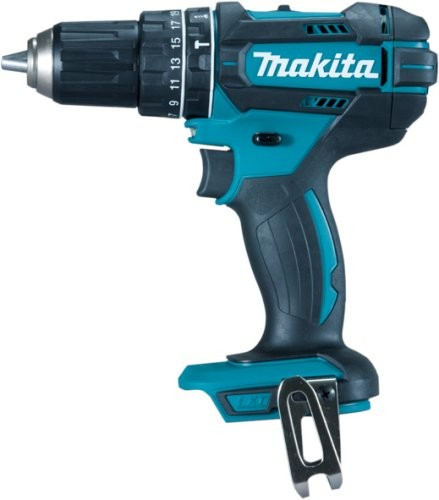 Makita LXT (DHP 482Z) 18v Combi Drill / Drivers have been developed as the successor to the popular Makita (DHP 456Z) Combi Drills. They are compact and lightweight with a 2 speed all-metal gear construction for extra high transmission durability, packing a rate of up to 28500bpm. Powered by Lithium-ion batteries for weight saving plus greater life span and run time than their Ni-MH or Ni-Cad counterparts. The18v Li-ion batteries are also equipped with a protection circuit designed to protect the battery from damage due to over-discharge, high temperature or current overload.